Nikon has revealed how many units of the new Nikon D800 semi-pro camera it intends to manufacture at its Sendai factory in Japan. According to a report which appeared on Bernama, Malaysia's National News Agency, Nikon is aiming to produce 30,000 units of the D800 per month, while it also revealed that it is hoping to produce 5,000 Nikon D4 units every month. Several Asian journalists visited the Sendai factory, with Nikon President Jiro Saito telling them that it had spent US$100 million repairing the factory after the devastating earthquake of March last year. Currently, the factory has around 1,600 workers, having the ability to produce one unit of camera per minute on a daytime shift. According to the report, a D800 can be produced in around four hours, while the D4 takes five. Some components for camera production are sourced from overseas factories including Nikon China, with around 1600 component parts required to produce both the D800 and D4. 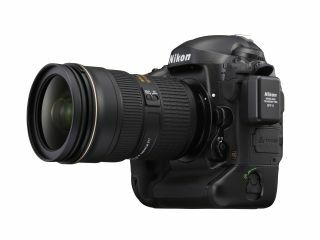 Both the new cameras were announced this year, with the D4 back at the beginning of January and the D800 just last week. The D800 features a 36 million pixel sensor, making it the highest resolution full-frame camera in the world. Originally slated for a mid-February release, recent reports have suggested that the D4 could be delayed until the middle of March. Meanwhile, pre-orders for the D800 were frozen in the US leading to speculation that there could also be a delay on those too.